(AP) NEW YORK - The stock market suffered its worst loss in a month Wednesday after a weak bond auction in Spain renewed fear about the European debt crisis. The price of gold plunged to its lowest level since January. Investors looking for a safe place for their money drove up the price of U.S. government debt. The dollar surged against the euro. Just before noon EDT, the Dow was down 162 points at 13,037. The Standard & Poor's 500 index was down 17 points at 1,396. 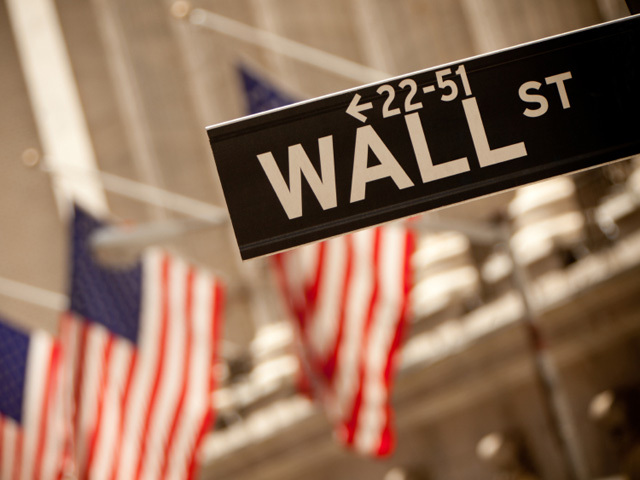 The Nasdaq composite index was down 52 at 3,061. The Dow's last triple-digit decline for a day was March 6, when the average fell 204 points. Nine of 10 industry groups in the S&P 500 index fell Wednesday, with financial stocks leading the way, declining 1.8 percent as a group. Only three of the 30 stocks that make up the Dow were higher at midday. Commodity prices fell sharply. Gold plunged $54, or 3.3 percent, to $1,625 an ounce. Silver fell 5.7 percent, copper fell 2.4 percent, and crude oil dropped 1.2 percent. In Spain, bond yields spiked after a disappointing auction of government debt, a signal that investor confidence in Spain's finances is weakening. Last week, Spain announced tax increases and budget cuts that will probably slow its economy. European stocks plunged. The benchmark index in Germany was down almost 3 percent, and stock indexes were down 2.8 percent in France and 2.3 percent in Britain. In the United States, the Federal Reserve said Tuesday that it was worried about slower job growth and signaled that it is unlikely to buy more bonds to help the economy. "Despite the relatively strong run we've had in the U.S., there's a number of headwinds out there, the main one being Europe, as we can see today with Spain's poor auction," said Bernie Kavanagh, vice president portfolio management at the investment firm Stifel Financial. Traders sold European bonds and bought safer investments such as German bunds and U.S. Treasurys. The yield on the 10-year Treasury note fell to 2.25 percent from 2.29 percent late Tuesday as of 10:30 a.m. The prospect of global economic weakness hurt bank stocks. Citigroup fell 3.7 percent and Bank of America 3.2 percent. Minutes from the Fed's latest Open Market Committee meeting, released late Tuesday, started a sell-off that began in the U.S. and extended overseas. There had been hope that the Fed would authorize another bond-buying program, designed to keep interest rates low and pump money into the financial markets, boosting stocks and commodities. The stocks of materials and mining companies fell. Newmont Mining was down 3 percent, while Freeport-McMoran Copper fell 2.6 percent. Aluminum maker Alcoa Inc. fell 2.2 percent, one of the biggest declines among the 30 stocks in the Dow average. Sears Holdings Corp. fell 5 percent. The retailer is reportedly planning to sell the casual clothing line Lands' End that it acquired in 2002.